Concern about secret US surveillance programs is fueling the development of another homegrown operating system in China, one that promises to offer a more secure alternative to rival OSes such as Android and Windows. COS, which stands for China Operating System, is just the latest OS to come out from the nation, at a time when Android and Windows are found on most smartphones and PCs in the country. The makers of the software have been vocal in wanting to break the U.S. hold over China's software market. "The operating system has already risen to become a national security matter," said Shanghai Liantong Network Communications Technology in a statement on its website. 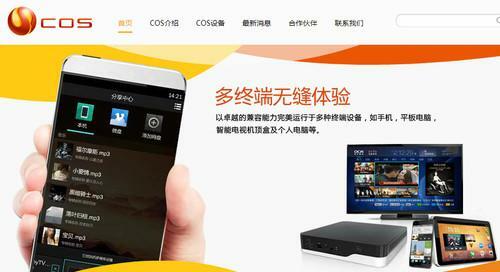 On Friday, a Liantong spokespersonb said the company was already working on bringing the OS to a set-top box device. The company is, however, still in talks with vendors of smartphones and PCs, she added. But in stating a need for an independent OS, the makers also pointed to past instances of the U.S. interfering with Chinese tech firms. This has happened with Huawei Technologies, which has faced scrutiny from U.S. lawmakers over its alleged ties with the Chinese government. Alibaba Group has also feuded with Google over the Chinese e-commerce giant's own locally developed mobile OS. China's previous attempts at making a homegrown OS, however, have not made headway. All the top smartphone makers in China rely heavily on developing Android-based phones. At the same time, Windows remains the dominant OS on PCs used in the nation. Liantong said on its website it will have to win the support of handset makers such as Huawei Technologies, Lenovo and others, along with China's mobile carriers, to develop an ecosystem around its OS. The company added that accomplishing this will be a long and difficult journey.